Recently, I made some lectures and slides on my lecture series as a resource speaker of Real Estate Brokers Association of the Philippines - Pampanga Chapter. I was invited to this because of my knowledge and experience in selling with new advancement in technology through internet. The title of the seminar "ABCs of Selling Real Estate Online". Members of our organization where there to see for themselves the new trends in selling real estate in an unconventional ways from the traditional marketing we were brought up with lesser time and efforts with maximum inquiry and closing of sales for the members. 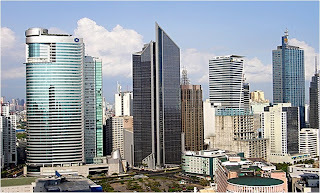 To start off with, the Philippine Real Estate has become a lucrative business in the beginning of early 2000 wherein our country had already recovered from Asian Financial crisis of 1997 that affected most of the rising tiger economies such as Singapore, Malaysia, Thailand, The Philippines and other nation within the Asian economic sphere such as Japan, Taiwan and others. There is a sudden increase of Overseas Filipino Workers or OFWs in terms of remittance wherein it grew at about US$ 17.4 billion this year from US$ 16.4 billion in 2008. In percentage, there is a growth of 4% according to Goldman and Sachs and Bangko Sentral ng Pilipinas figures. Demand for real estate has become high with the increase in population growth in our country plus incoming investment of our fellow balikbayans especially Fil-foreigners opting to retire in the Philippines in their prime years. Also, our country has overwhelming housing backlog – wherein estimated there should be 3.75 million homes that still needed to be built. Even if Real Estate in United States and other western countries have experienced economic decline in the past few years. The Philippine Real Estate’s overview in the future is still bright even it slowed a little bit due to global financial crisis. The growth of Business Processing Outsource (BPO) in the country also helped promote job generation giving young professionals opportunity to make a living. Recently, the Philippines has won the 2009 Offshoring Destination of the Year Category at the National Outsourcing Association (NOA) Awards held last October 15, 2009 in London, United Kingdom. Philippine peso and US dollar foreign exchange remains fairly stable at an average of PhP 45.00 to US $ 1.00 as of early December 2009. With the Philippine peso remaining strong compared to the US$ dollar. Lending Rates in banks still remains low at an average at 9.0% to 12.0 % per annum compared to previous years of around 15% to 21% interest rates p.a. However, PAG-IBIG lending are very low at 6% which is very competitive against bank’s lending rates. Being optimistic after the recent calamities and catastrophes that happened in the Philippines would not deter us of achieving and aiming our goal as a tiger economy again. We welcome brokers, agents, referral agents to advertise line ads here for FREE! Thank you so much for sharing this very informative post. Hope that you will help a lot more broker and agents.